Photo formats changed depending on the technology and trends of the time. 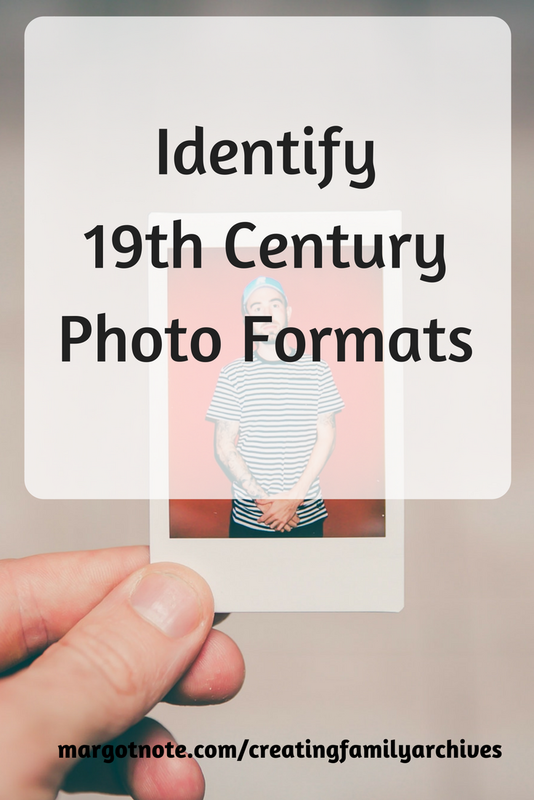 By looking at some common characteristics of types of photographs, you can determine its format and figure out a range of years that the photograph was taken. Is image on a glass plate? Does image seem to have a slight depth? It's an ambrotype. Is image on a blackened metal plate? Will a magnet attach to it? It's a tintype. Is image on a thin card about 2 3/8" x 4"? It's a carte de visite. Is image mounted on a card 4 1/4" x 6 1/2"? It's a cabinet card. Most family collections contain cartes de viste and cabinet cards. I've created a chart that lists photographic names, date ranges of popularity, and features to help you identify your formats. Download my Quick Guide to Common Types of Photographs and Images.